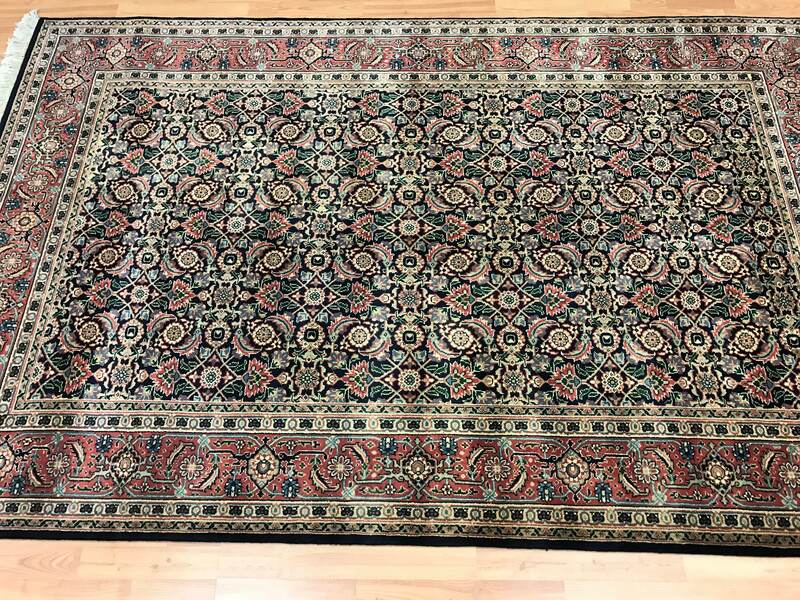 This beautiful Oriental rug is a 5' x 8' Indian Herati with a fish design. 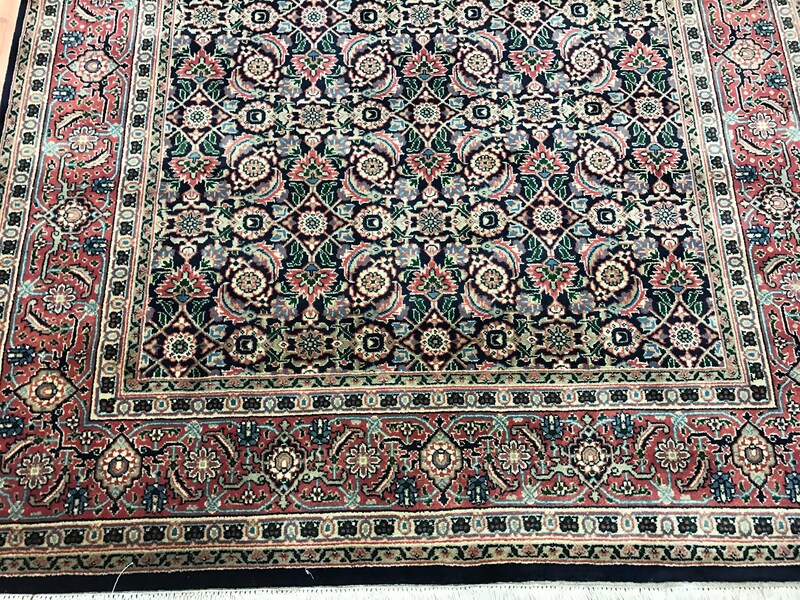 This very fine hand knotted Indian rug is made with a 100% soft wool, has a full pile and is in good condition. 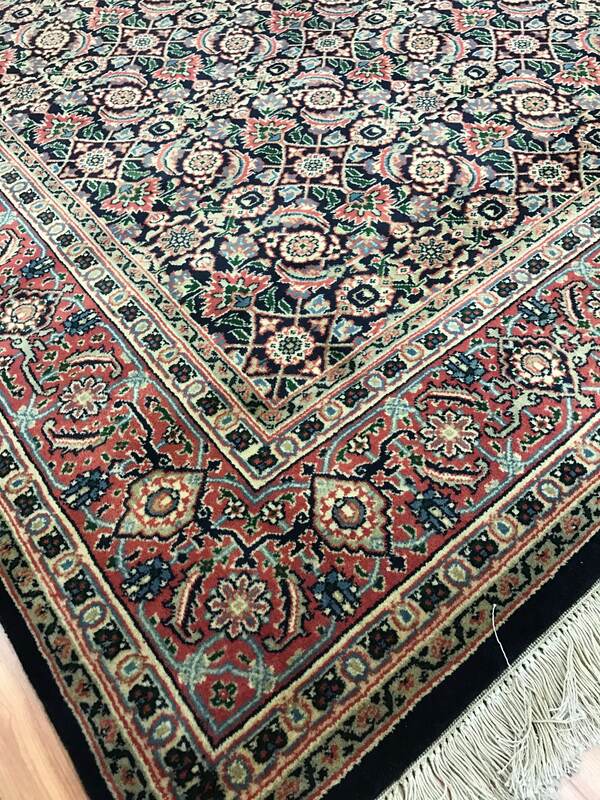 Traditionally, India has excelled in the production of fine textiles, palatial carpets, magnificent shawls and Art Deco rugs that were influenced by colonial British trends. Despite adverse conditions and invasions from overseas colonists and imperial powers, Indian craftspeople managed to maintain a diverse and individual textile culture. 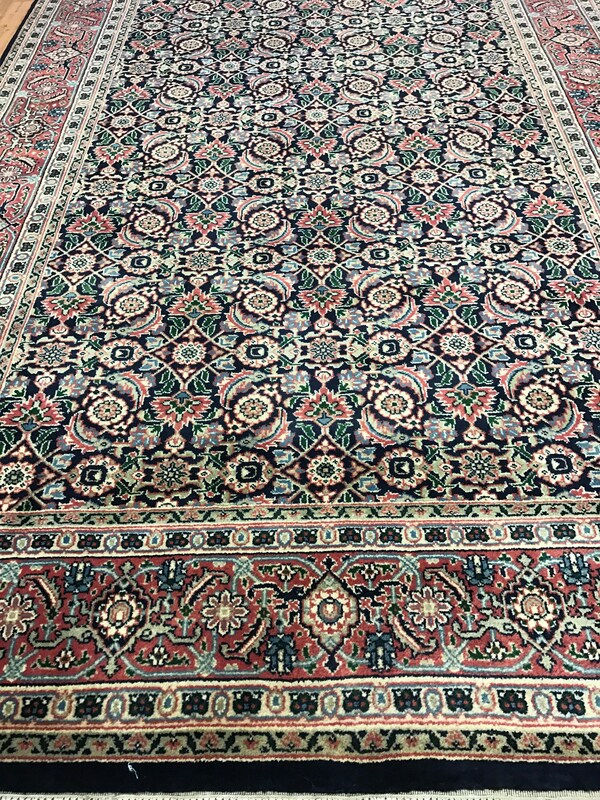 Even when the weavers of antique Indian rugs borrowed designs from Persia, they immediately attained a new flavor. 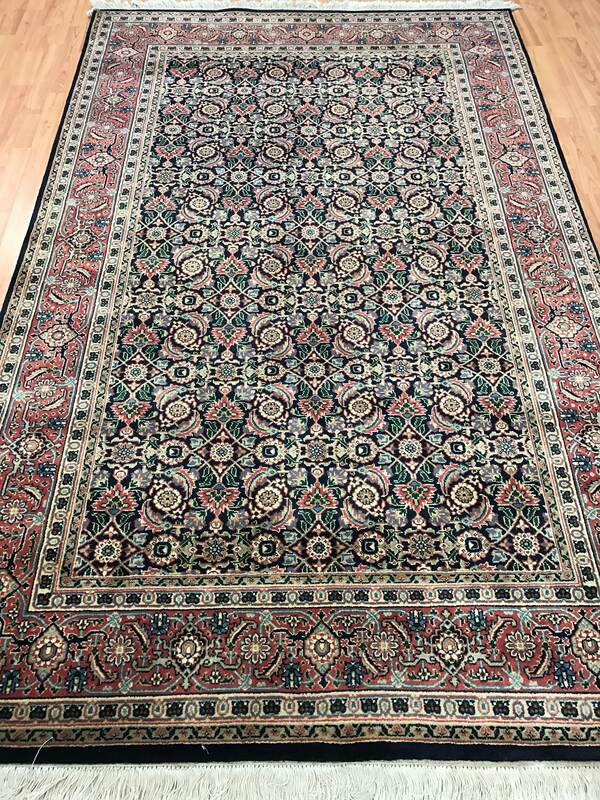 The colors are rich, the motifs are grand and the composition of antique Indian rugs is always elegant. 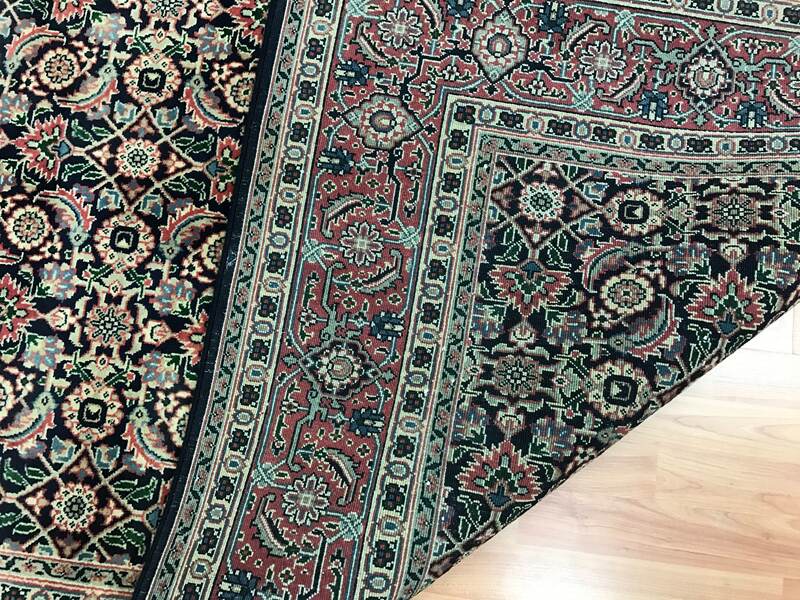 When designers are furnishing an Art Deco apartment, a stately painted Victorian home or even a Bohemian abode, the rich style, strong colors and elegance of traditional Indian textiles and antique carpets allows them to complement the ambiance of any interior setting. 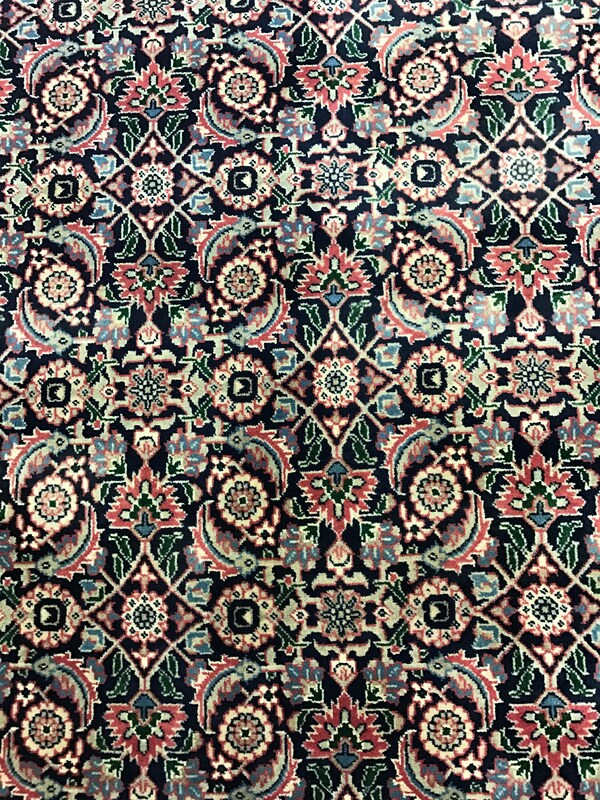 Textiles and carpets from India are stately, harmonious and well-balanced works of art that never have an excess of any one design element.